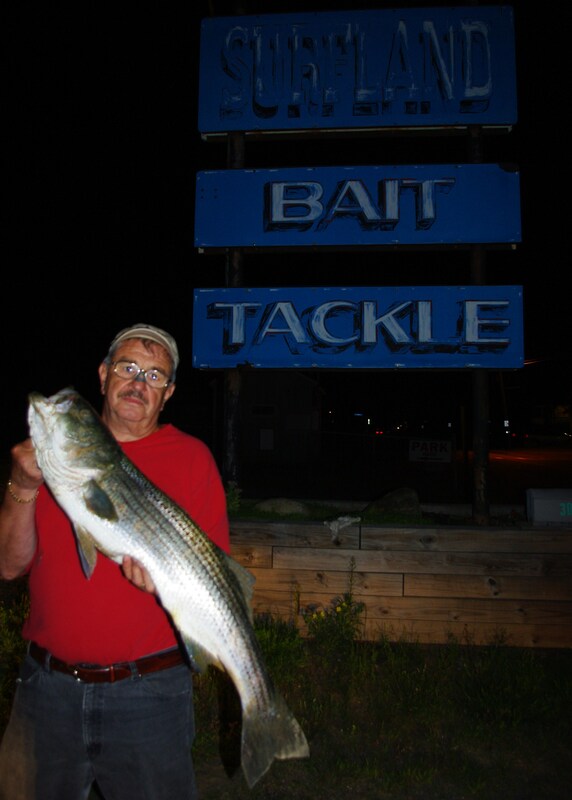 — Main Menu —Home Bait Fishing Tackle	- Fishing Tackle - Custom and Hard To Find Gear Rod and Reel Repair Fishing Reports	- Fishing Reports - Tide/Weather History	- History - Kay Moulton 11 Worms - Reel People: The Fishermen of Plum Island Find Us! but to late to weigh in. Caught it on those small worms. I guess it really does’nt matter, big or small. Thanks for sharing the story and picture with us. Just goes to show………………Kay knows! Stickman is the resident web design guy at Surfland. We pay him in eels. Fishing PI with Steve G.
Click here for detailed driving directions. Click here To buy your 2019 Massachusetts Saltwater Fishing license. Ken on Skip Montello, Let’s Go Catching. April 9. Laura Smith on Bob Smith, age 90, first weigh-in. Copyright ©2016 Surfland Bait and Tackle - All Rights Reserved - Site by James Waldron Design.